Although he wasn't a member of the Mamas and the Papas, Scott McKenzie was an old friend of John and Michelle Phillips. John wrote Scott's hit song "If You're Going to San Francisco," which was high on the charts in the weeks leading up to the Monterey Pop Festival. 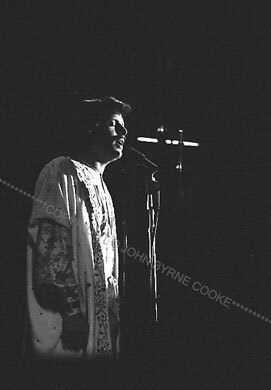 At the festival, Scott sang the song with the Mamas and the Papas and he wore a long, brightly-colored robe like theirs.